in my inventory, I had to buy them this week. Yes, they are expensive, but also really lovely. Here I show you the new ones: Annie und Bibi. Btw: the eyes you see on nearly all pics are from IKON – I love them! Only Fiore pictures are with the common eyes. 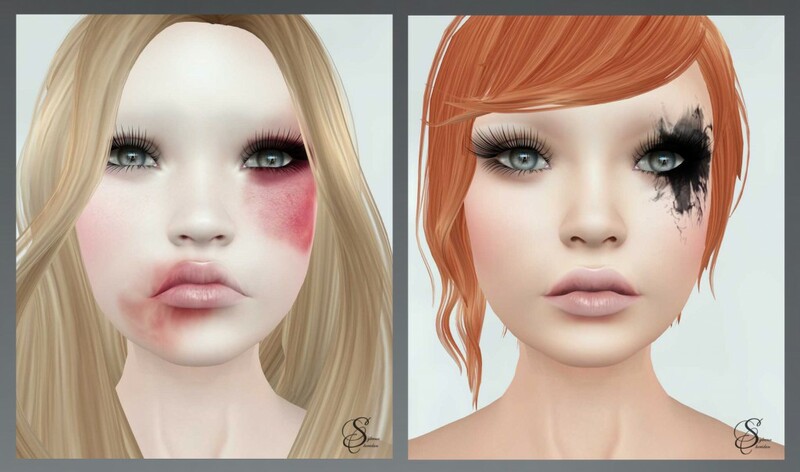 And the hair is by Emo-tions, Tableau Vivant, Magika and LeLutka. I played only a bit with the head meassures. Aurelia, which is available @ Salem. As you see, I show some different expressions, which come up with the “basic” version of the Annie head. This head is more like a young girl, round and smooth. The creepy skin was a FLF item at Glam Affair, the others are the Treasure series by Glam Affair. 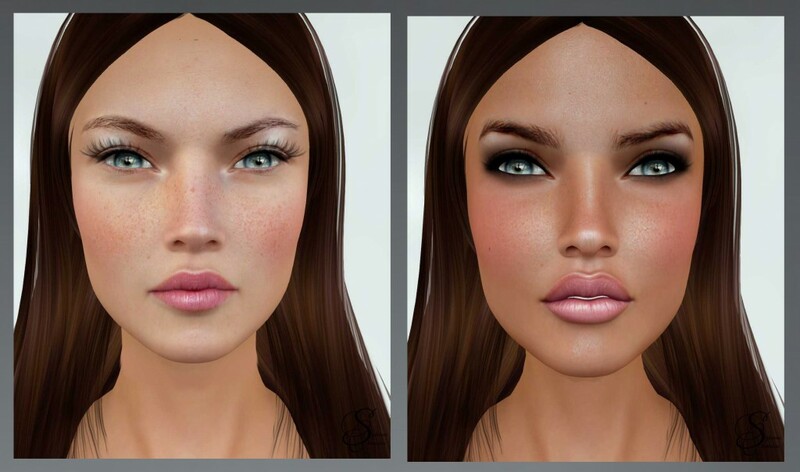 On the left picture, you see the Wilma skin and on the right Freya, both by LAQ. And now some Glam Affair options: left is Meridith, right is Petra. Precious by Fiore is the name of the next head. I wear the Aya and the Taylor skin in different colours on it. Last but not least the LeLutka heads Ever and Simone. Mina & Rachel in dark tones Jamaica and Exotic you see here. Well, that was it…a short overview of what my invetory has to offer…. your taxi to the stores….